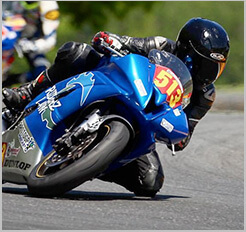 LONG BEACH MOTORCYCLE ACCIDENT LAWYER REPORT: The Long Beach motorcycle accident attorneys at Riderz Law have learned of an injury-accident from Buena Park. 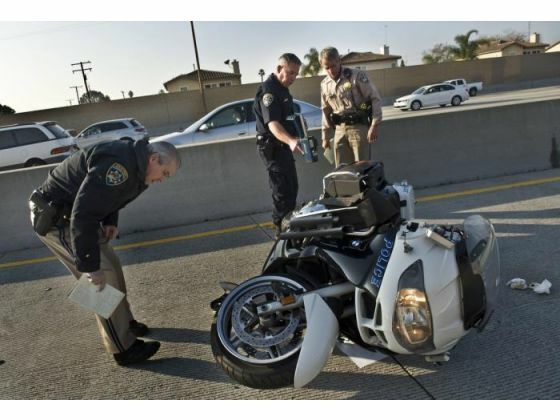 Yesterday morning at approximately 8 a.m., a Long Beach police officer was sideswiped while riding his motorcycle on the westbound 91 freeway. The police officer was splitting lanes between the fast and carpool lanes when a Toyota Carolla crossed the double yellow line to exit the carpool, striking the officer and throwing him from his motorcycle. The officer was knocked into the carpool lane, suffering serious injuries to his arm. He was tranported to UCI Medical Center where he was treated for his injuries. Our thoughts and prayers go out to this officer for a speedy recovery. While the topic of motorcycle lane-splitting is often discussed, lane-splitting remains legal in California. Crossing a double yellow line, however, is never legal. The driver of the Corolla made an illegal lane change, and proved why this activity can be so dangerous. As motorcycle accident lawyers in California and as riders ourselves, we see stupid, dangerous behavior like this every day. Fortunately, the motorcyclist in this instance was not seriously injured.